The former PDP members concluded their defection at an elaborate ceremony held at the APC secretariat in Ikeja . No fewer than 500 members of the Peoples Democratic Party (PDP) in Lagos on Tuesday defected to the All Progressives Congress (APC). 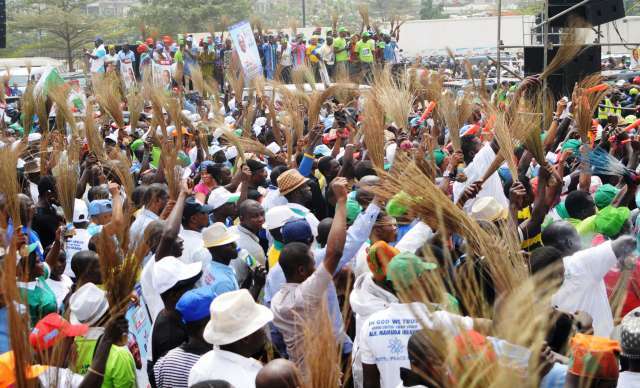 The News Agency of Nigeria (NAN) reports that the new entrants to APC concluded their defection at an elaborate ceremony held at the APC secretariat in Ikeja . The defectors, from the 57 councils in the state, were led by former PDP chieftain, Mr Elijah Awodeyi. They were received into their new party by the APC Chairman in the state, Mr Tunde Balogun. 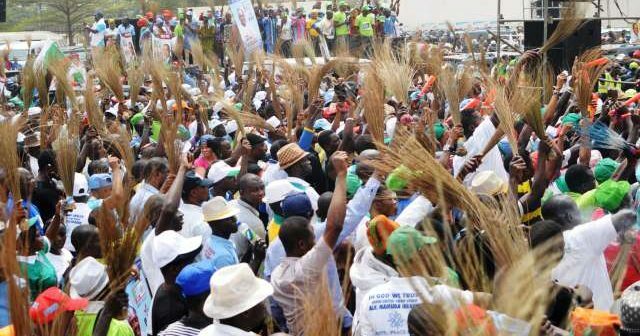 Balogun said that the APC was delighted to receive the new members and groups joining the party. He said their coming meant they had decided to join the progressive train and stay with the party that stood for development. “We are happy to receive these 500 people into our fold. We want to congratulate them for leaving darkness for light. “These people have realised that APC is the party to be in view of the sterling performance of Governor Akinwunmi Ambode in his first term in office. “We are happy at their joining us once again and we want them to feel at home,” he said. Awodeyi, while receiving the APC flag from Balogun, said they decided to dump the opposition for the APC because of the progress in the state. He said that they were encouraged by the performance of the governor in the state. “APC has done well in Lagos. Ambode has done well. We are joining APC because this is the party of progress,” Awodeyi said. He promised that he and others would contribute their quota to take the party to greater heights. NAN reports that different groups within the APC openly endorsed Ambode for second term at the ceremony.